Since the age of 15, Scott Jacobs has been riding motorcycles. At just 19 years old, he began his art career by opening his own gallery, making a living in fine art ever since. 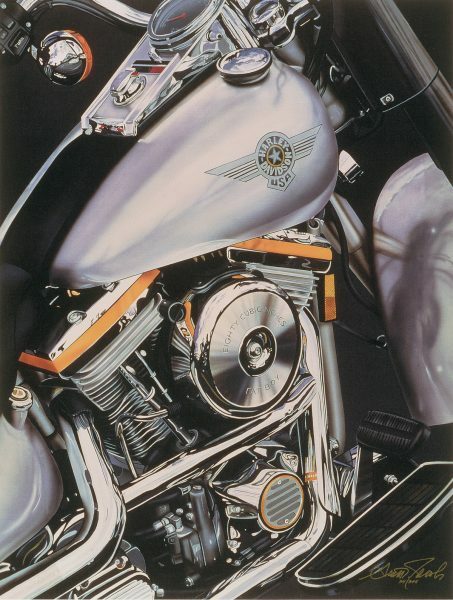 But everything changed after a traumatic motorcycle accident in 2016 when the photorealist artist found himself lying in a Maryland hospital, forced to confront the fact that he might never ride or paint again. Jacobs had been racing in the Motorcycle Cannonball Endurance Run in September 2016, a cross-country race featuring vintage motorcycles. 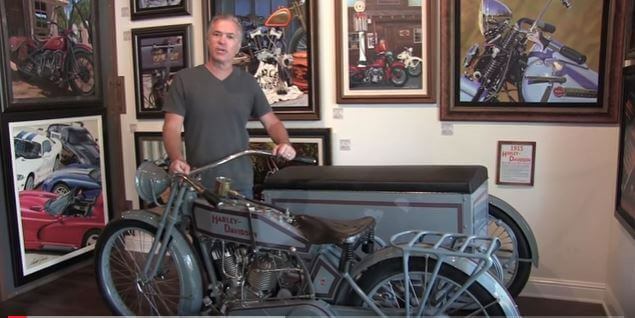 Events like these are common for Jacobs—thanks to his popular photorealistic paintings of motorcycles, he became the first officially licensed artist of Harley-Davidson in 1993. 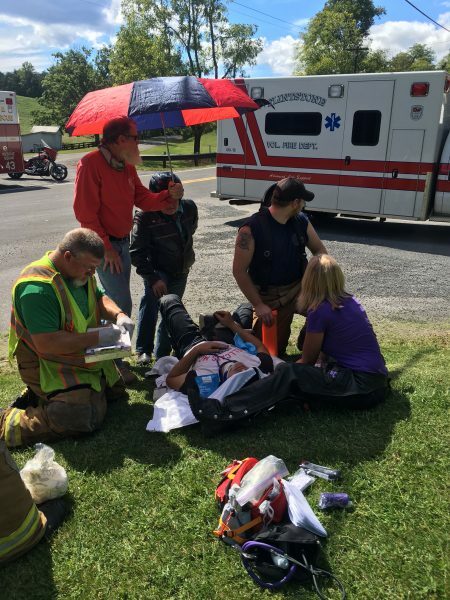 On the second day of the race, Jacobs was riding his 1915 Harley-Davidson F Head through Cumberland, Maryland when he ran into unexpected gravel on the roadway. The bike’s front tire locked up, sending Jacobs into a 100-foot skid toward a busy intersection. To prevent a potential accident, Jacobs purposefully tipped his motorcycle onto its side, sliding across 75 feet on a gravel-filled road. Things escalated when the motorcycle’s left foot peg caught the road, causing Jacobs to catapult through the air. He smashed into the ground, landing on his head and right shoulder. Looking back, Jacobs credits his surviving the accident to wearing the proper gear, such as his helmet and Kevlar-lined racing pants. 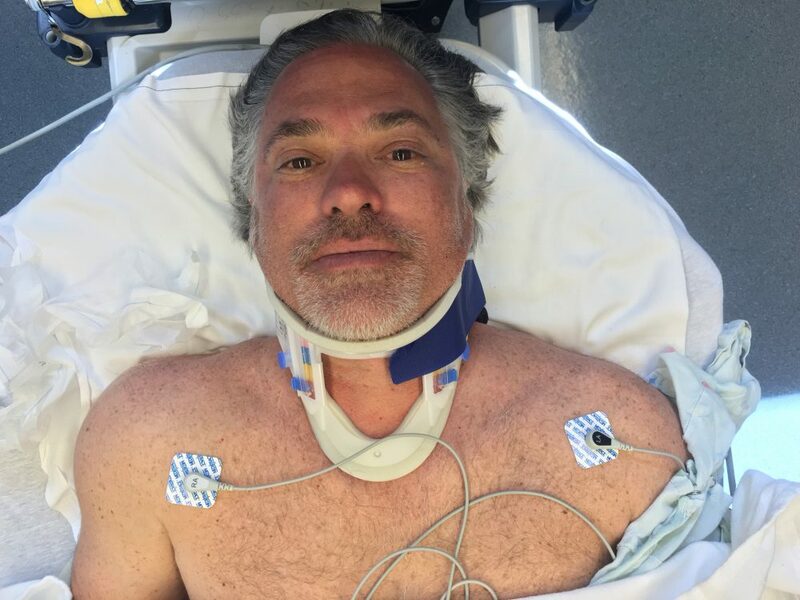 He is also thankful that moments before the crash, his wife’s motorcycle broke down, taking her out of the race and saving her from a similar fate. Emergency responders transported Jacobs to the hospital where his injuries were assessed. The result was a four-part humerus fracture, a 75 percent bicep tear, and the need to replace his right shoulder. For four days, Jacobs was on morphine while the doctors determined how best to repair his arm. 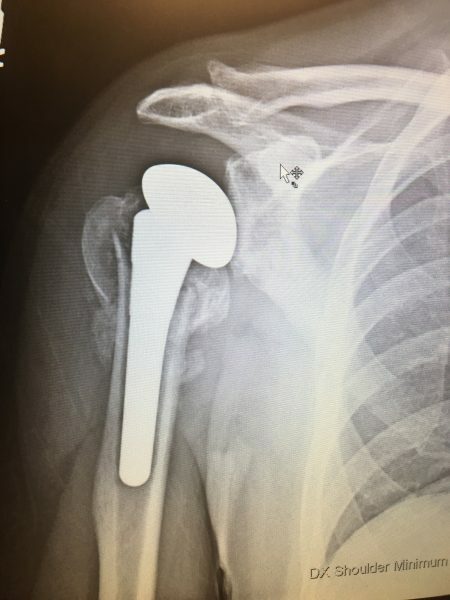 They took him into surgery on September 14, inserting a titanium rod with an artificial pivoting joint into his shoulder. The surgery was a success, but Jacobs had a long road ahead. The artist flew home to South Dakota and underwent extensive physical therapy, exercising his arm three times a week for five months. The doctors warned him if he didn’t stick to this regiment, his muscles would atrophy and he’d lose the use of his shoulder. “I couldn’t paint, I couldn’t sign my freakin’ name,” Jacobs recalls. 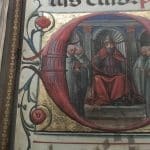 It took seven months before Jacobs could start painting again. By sketching and painting for short periods of time, Jacobs began recovering his muscle memory. He could only work for 15 minutes before the pain became unbearable. One year later, Jacobs has now worked his way up to painting five hours at a time. 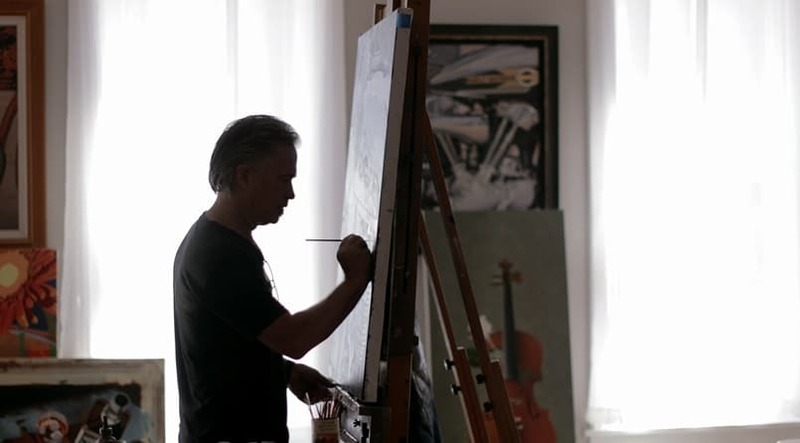 While it doesn’t compare to the eight- to 10-hour painting sessions of his early career, he isn’t complaining. With each passing day Jacobs is improving. He thanks his wife, Sharon, for being there through it all, and finds himself motivated by meeting Park West Gallery collectors at events. Park West Gallery Director Morris Shapiro has worked with Jacobs for nearly 15 years. He says Jacobs has overcome a great life challenge and continues to create great works of art, albeit with subtle changes. Despite the accident, Jacobs hasn’t lost his love for motorcycles. Like his painting, Jacobs is slowly improving his ride times. “I’m going to keep doing what I do and keep riding,” Jacobs says. The art of Scott Jacobs is available to collect through Park West Gallery. Contact our gallery consultants at (800) 521-9654 ext. 4 during business hours or sales@parkwestgallery.com. My best to Scott for a complete recovery. He is one of my favorite artists associated with Park West. 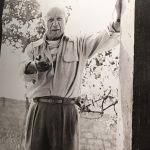 We have two of his ‘wine bottle’ works hanging in our dining room. We loved meeting you in Napa and onboard Regent in Med. We have several wine bottles, acrylic Provance, and of course your daughter’s beautiful eyes under the mask-all gracing our home in St. Louis. Prayers for ongoing speedy recovery, Scott. And best to Morry and team! We started collecting art when we fell in love with Scott Jacobs wine pieces. To this day, whenever we are on a cruise, we always go the the art auctions and purchase more. He is, by far, our favorite artist, and we value all of his works. We wish him well in his recovery and look forward to seeing more of his work. I have several of Scott’s works and his collection book. I would like get a chance to meet him. I live in Pennsylvania will he be in the area in the near future? We love your work. Although we are not motorcycle enthusiasts, we like contemporary paintings of wine, women and song. We love the TV series, “Outlander.” Maybe you could do a painting of swords, kilts, bagpipes, castles, lovers, and alike from Scotland circa 1740s. I have the “Art & Sole” watch and I love it. Thanks to you and Steve Soffa. It was a pleasure to see you once again and to spend time with you during the South American VIP Event earlier this year. We hope your rehab. is ahead of schedule and expectation. You truly are a very talented individual and our hope for you is that you are back to creating wonderful art. A most happy and healthy holiday season to you and your family.